Sometimes in life, an event is so important that I say very little about it because trying to capture its importance seems daunting. It is the same way with this book. The story follows Jacob and the destruction of his family beginning with an exchange of inappropriate text messages and the destruction of Israel beginning with a tremendous earthquake. It is not a happy story. Reading it made me feel like I would never be as poignant writer as Jacob/(Foer), but that I could live a better life than Jacob/(Foer). 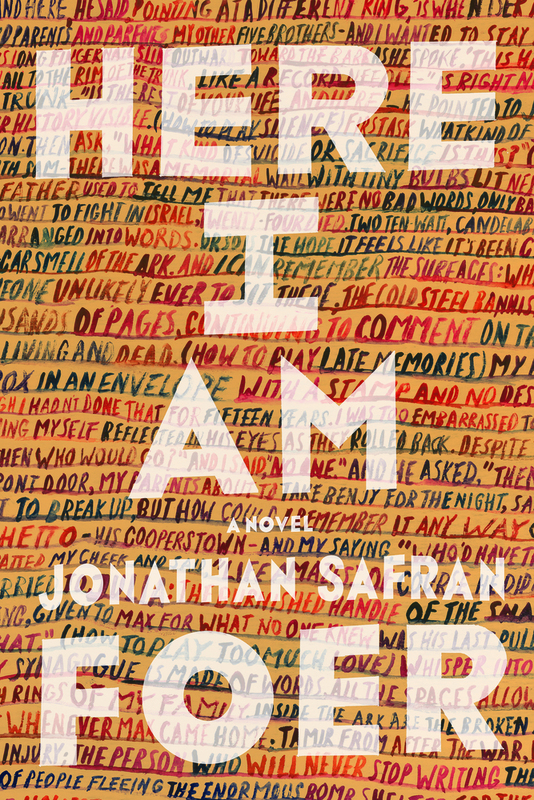 The muddied distinction there is not necessarily that it was so autobiographical, but because Foer succeeds in getting into the hive-mind of Judaism. (Says someone who isn't Jewish, but came into intimate contact with its traditions and people.) This is one of the reasons I'm reluctant to write this review. Until I read this book, I didn't even realize there was a hive-mind of Judaism. But the constant intellectual argument, the acerbic wit, resounded powerfully with my experience. This is a convincing account of versimilitude, of attempting to reach to the real and constantly being surrounded with façades. One obvious example of this is the Other Life (not) game that Jacob's oldest child is constantly playing. For Jacob, his façade is the exchange of sexual explicit texts without actually having an affair. For his wife, Julia, it is a series of architectural models she creates that are intended for one-person capacity. Jacob's and Julia's marriage begins to unravel. I, as the reader, didn't know whether to root for them to stay together or to fall apart. They knew each other so intimately and riffed off each other so well, that it seemed a pity for them not to stay together. It was also believable that they didn't know how to make it work. It certainly made me want to hold on to any permanence in my life with both hands. The dialogue in this book was absolutely incredible. The scene that just blew me away was Jacob's grandfather's funeral, in the middle of the book. Jacob thinks the rabbi is just a stand-in. But then he talks about the deceased in specific detail from his visit just before he dies. He goes on to talk about Pharaoh's daughter discovering Moses, a crying Hebrew baby, in a basket. He asks the attendees, "How did she know that he was a Hebrew?" The exchange that follows is poignant. You'll just have to read it! So while I whole-heartedly recommend this book, I'm also kind of embarrassed about reviewing it. My preferences tend toward the more chaste realm of kids' books. This definitely has some adult content that made me uncomfortable. But it's supposed to. As long as you're prepared to be somewhat offended, you'll be fine. This book sounds great! I have been wanting read a book written by Foer. I also tend to read books that would be reading PG to PG13, but it sounds like his writing is worth any slight uncomfortableness ; ) great review!